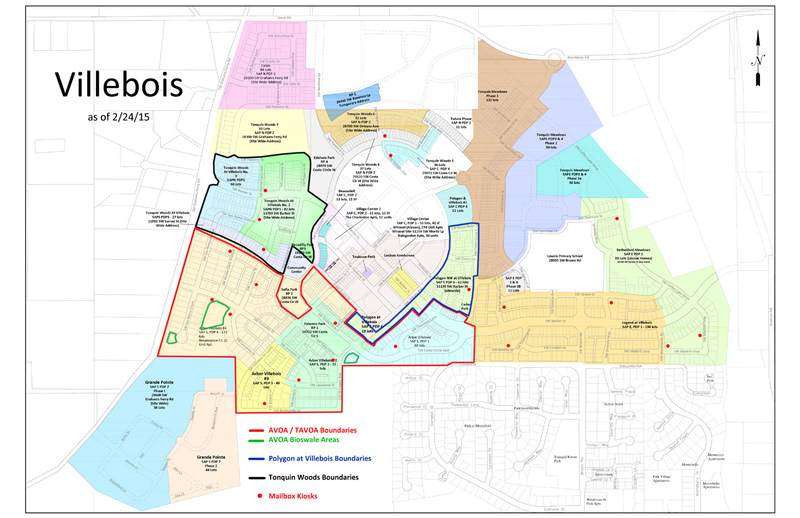 The Villebois Community is made up of multiple homeowner associations. You can reach an individual association by clicking on its name below or from the navigation menu above. The Villebois Community Center Association (VCCA) oversees the Villebois Community Center which serves a portion of the Villebois Community. It has Board representation from Arbor Villebois Owners Association (AVOA), Polygon at Villebois HOA and Tonquin Woods at Villebois HOA. The Villebois Events Committee (VEC) was a grass-roots independent committee that served the greater Villebois Community and was not directly associated with any HOA or other committees. This group of volunteers organized and encouraged participation in neighborhood events to strengthen social interaction, facilitate open communication, promote a strong sense of community and create a fun, safe and welcome environment for all residents. The (VEC) was started in 2009 and continued until about 2015. During that period this group created the annual Villebois Easter Egg Hunt, the 4th of July Parade-Picnic-BBQ, Garage Sale, VilleBoo at Halloween, Turkey Bowl on Thanksgiving, and the Villebois Christmas Event. Some of these events continue on thanks primarily to the efforts of Katie Green of the Green Group. Copyright © 2006-2015 Arbor Villebois Owners Association. All rights reserved.